The unique bond between a handler and Guide Dog is characterised by trust, a word that Guide Dogs Australia member organisations are proud to be associated with in the wider community after being named Australia’s Most Trusted Charity Brand in the annual Reader’s Digest Most Trusted Brand Poll for the fourth year in a row. Guide Dogs Australia spokesperson and CEO of Guide Dogs NSW/ACT, Dr Graeme White, said receiving the award was truly humbling. “We are extremely grateful for this level of public recognition of our vital work,” Dr White said. “Guide Dogs Australia member organisations are working to help people who are blind or vision impaired realise that their freedom of movement doesn’t need to be limited,” he said. For Salma, who has been vision impaired since birth due to glaucoma and cataracts and became legally blind when she was 14-years-old, Guide Dogs has played a powerful and positive role in her life. The organisation initially taught her how to use a long cane, before she received her first Guide Dog, Clare in 2009. Salma said when she received Clare she gained so much confidence and Jacie was now following perfectly in her footsteps. Each Guide Dog, which costs more than $35,000 to breed, raise and train, is provided to a person who is blind or vision impaired at no cost. “As we receive less than 10 per cent of our funding needs from the government, we are reliant on the generosity of the community to continue our important work,” Dr White said. “Statistics show that every day, 28 Australians are diagnosed with uncorrectable vision loss. 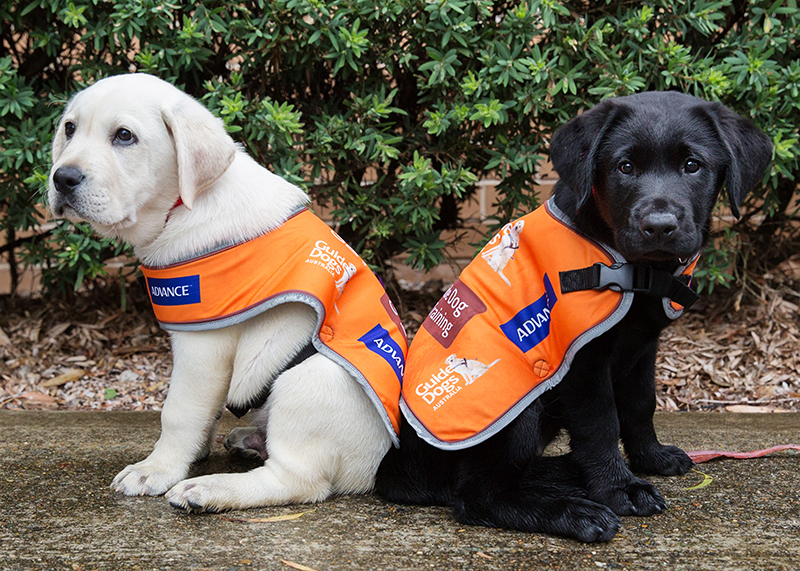 With our ageing population the work of Guide Dogs Australia member organisations will touch the lives of so many more as they seek support to build their confidence, mobility and independence,” he said.